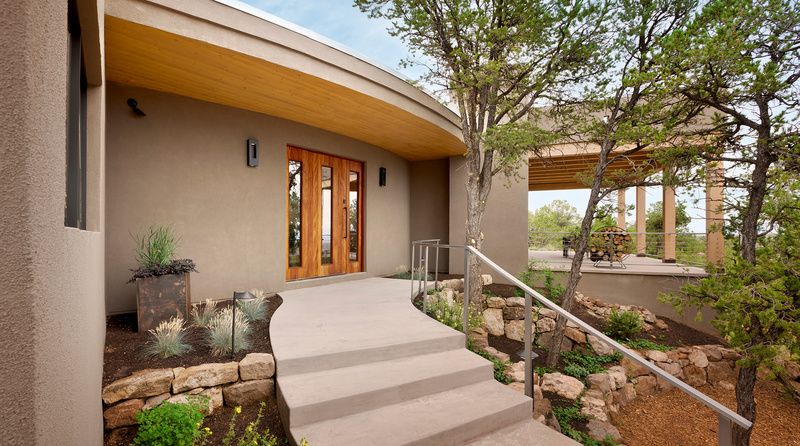 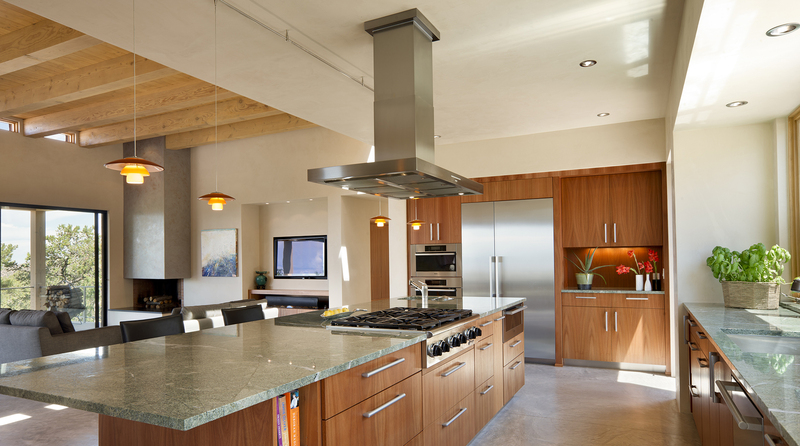 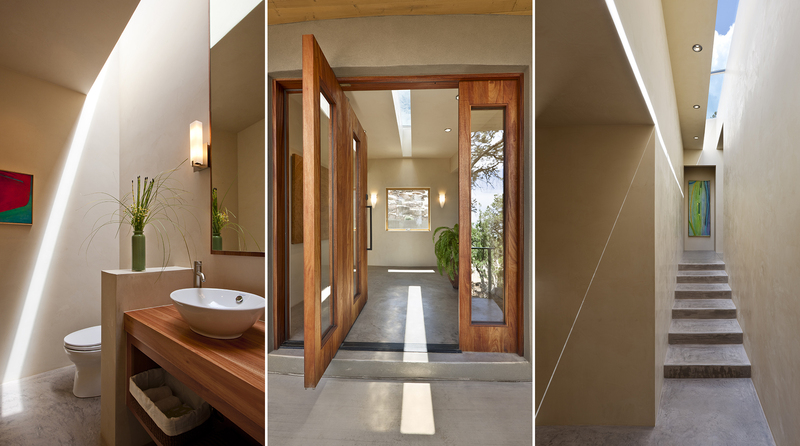 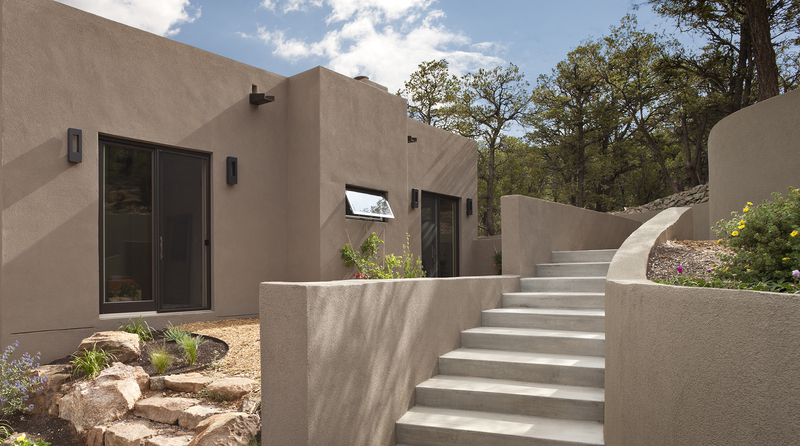 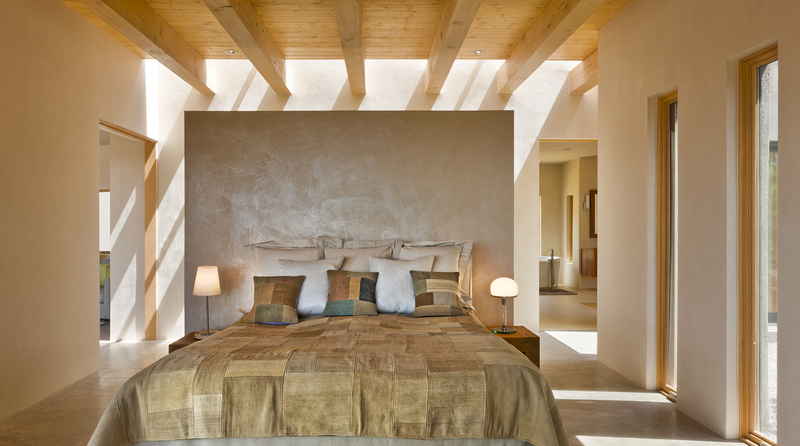 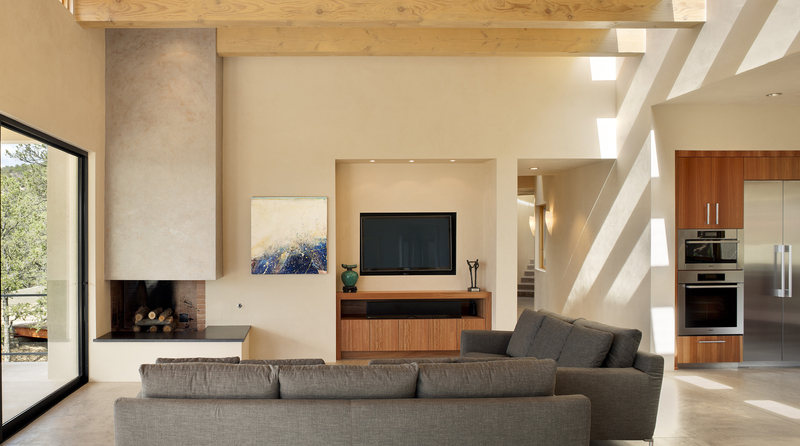 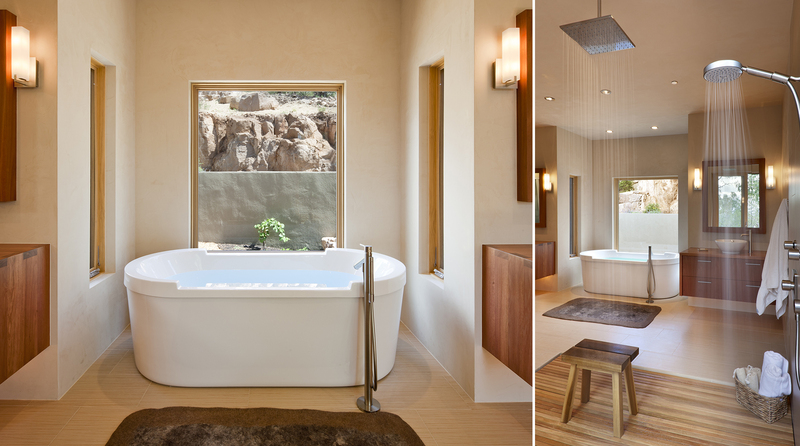 This home, which earned three awards in the Santa Fe 2011 Parade of Homes, including best kitchen, best overall design and the Grand Hacienda Award, provides a serene, secluded retreat in the Sangre de Cristo Mountains. 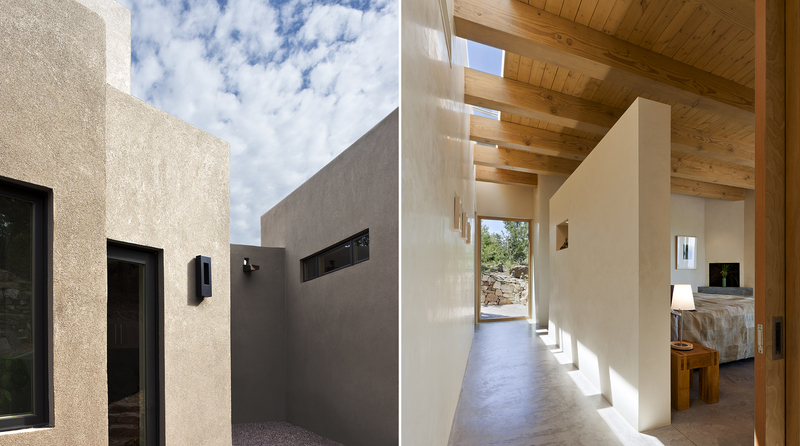 The architecture recedes back to frame panoramic views, and light is used as a form-defining element. 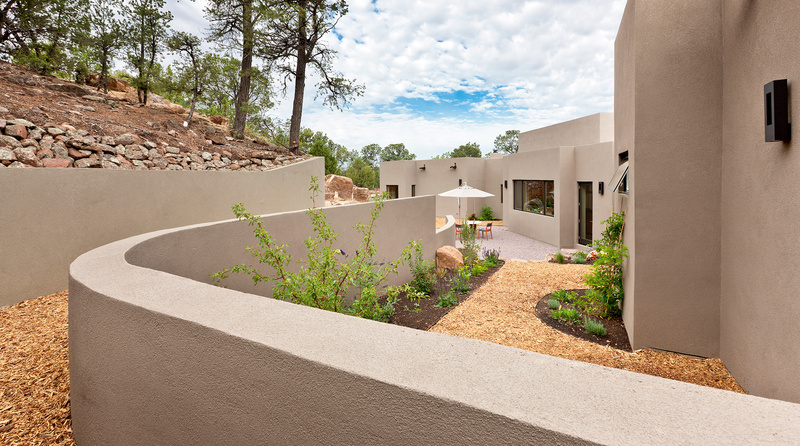 Paying close attention to the topography of the steep lot allowed for minimal intervention onto the site. 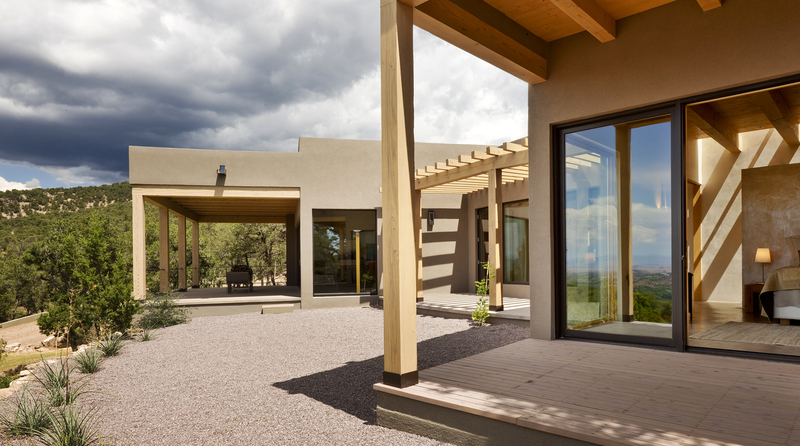 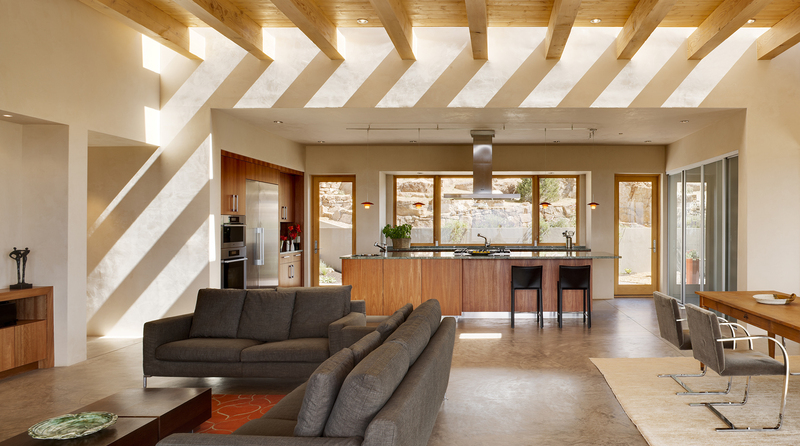 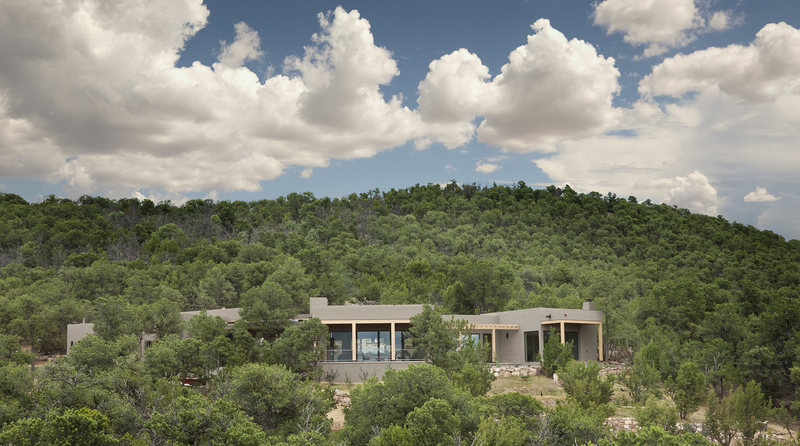 While the home feels strongly anchored, this sense of connection with the earth is wonderfully contrasted with open, elevated views of the Jemez Mountains. 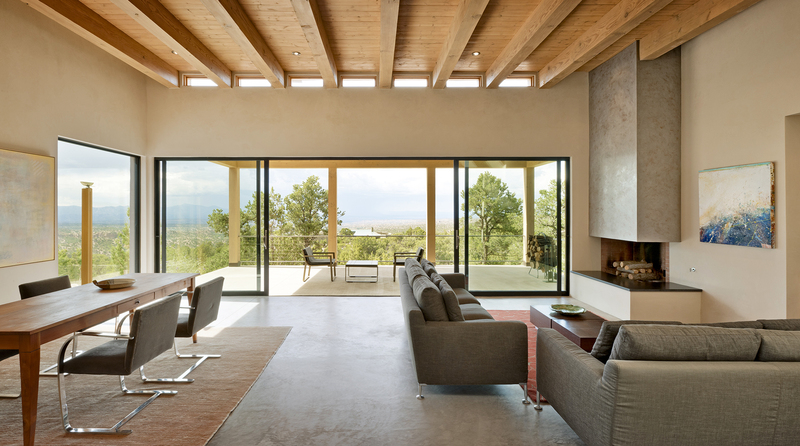 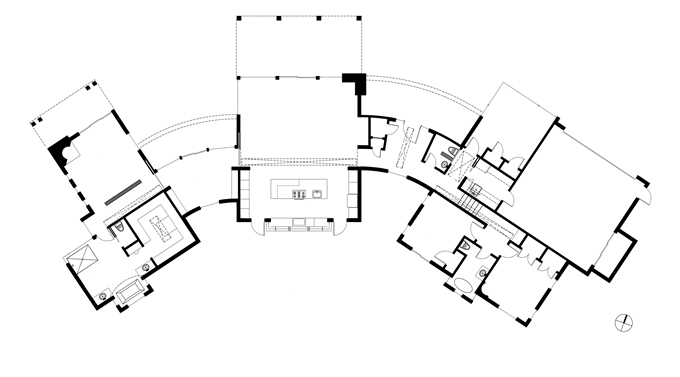 As a result, the home appears to emerge and ascend from the landscape, rather than being imposed on it.